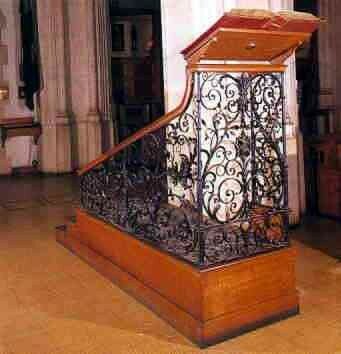 The present lectern is modern, but consists of pieces rescued from previous fittings dating from the 1600s. The wrought iron rails are a fine example of what is known as Sussex work. Their particular design is very English, and is repeated in the sword rests of the Lord Mayors of London which can be seen in other parts of the nave.